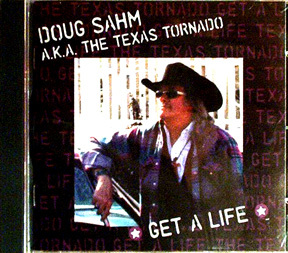 Munich Records Release "Get A Life"
Sir Douglas Quintet, 60's Stars from San Antonio, Texas, Hit's with "She's About A Mover" & "Mendecino"
Doug Sahm was a very inspiring guy. 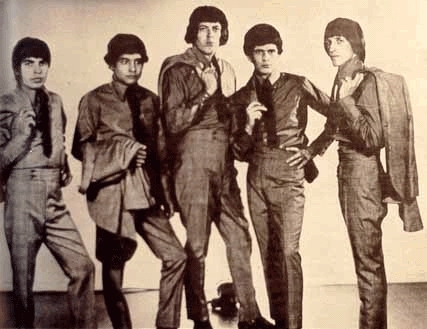 He was from San Antonio, Texas and I met him in Austin, where I knew him as the legend who had started the band SIR DOUGLAS QUINTET in the 60's, and they had some real hits ("She's About a Mover" and "Mendecino"). He also formed the TEXAS TORNADOS with Freddy Freddy Fender and Augie Meyers. This band was very popular. I was fortunate enough to suggest to him that the Gourds would be a great band for him to record with and he agreed, so we went to the studio. We used to make mixes and go sit in his car and listen to them real loud...he had a great car stereo.....The output of this was 4 songs..two of which made it to this CD ("Get A Life" and "Amsterdam I Hear You Calling"). The other 2 were never finished. Doug died in a Santa Fe, New Mexico motel room soon after the recordings. Doug gave me some important things to live by, one of which was to identify a silly disease most muso's have....environmental absorption syndrome...that whatever environment musicians are in... they seem to absorb it and forget everything else for awhile. "Amsterdam, Amsterdam I hear you calling... grooving with the girls along the canal.....Well Amsterdam, Amsterdam I hear you calling....then it's goodbye European Continent....hello Taco Town"